Donald Trump has thrown down a trade gauntlet to the Democrats who will take control of the House of Representatives in January. The day after the Nov. 30 signing of a new deal with Mexico and Canada, the U.S. president announced that he planned to formally terminate the existing North American Free Trade Agreement (NAFTA) “shortly.” Assuming he has the power to terminate (which is debatable), that would give the U.S. Congress six months from the date of termination to approve the new deal known as the United States-Mexico-Canada Agreement — or return to the pre-NAFTA rules in effect before 1994. With their midterm election takeover of the House of Representatives, the Democrats will have a much bigger voice on trade policy. They seem certain to use that voice to push for substantive changes, such as stronger labor protections, in order to move the USMCA in what they see as a more “progressive” direction. Conservatives would obviously prefer an agreement that is less progressive. But people on both sides of the aisle have a common interest: making the agreement enforceable and making it function properly. As it stands now, the USMCA text has flaws in both areas. Beyond any progressive tweaks, the House Democrats should demand that the administration make changes to the broader procedural and structural provisions of the USMCA to ensure that it can be enforced and updated when needed. NAFTA was a success for the most part, but one major problem arose with the settlement of disputes between the parties. In 2000-2001, the United States blocked a dispute panel — a third-party adjudicator that interprets and applies NAFTA obligations to determine if a government is in violation — from being appointed to hear a Mexican complaint about U.S. sugar restrictions. After this episode, no new panels were set up. Unfortunately, the flaws that allowed the United States to block that panel were largely carried over from the NAFTA to the USMCA. If enforcing the agreement is important to the Democrats, they need to address this flaw. The main problem was that, as part of the panel appointment process, all three countries needed to agree on a list of potential panelists to choose from. However, because the roster of panelists expired every three years, it would often remain empty or underfilled, as the three countries could not always agree on who should serve. The USMCA needs to fix this process, so that one country cannot prevent the creation or use of the roster by objecting to the candidates proposed by others. If any party proposes candidates for the roster, it should be deemed filled, even if other parties are not participating in the process of nominating candidates in good faith. There should also be clear rules for how to select panelists when the parties cannot agree. 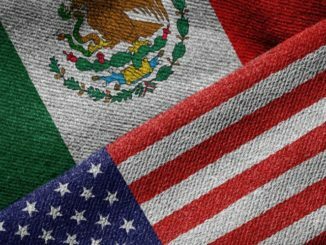 Recent trade agreements set out a detailed process in this regard, and it is worth considering these provisions as part of the USMCA. A side letter that clarifies the ambiguity regarding the roster and panelist appointments may be sufficient here. 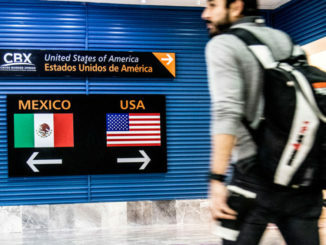 The second issue where the Democrats should try to improve the USMCA is the “sunset clause.” This provision – a softer version of the original U.S. demand for an automatic termination of the agreement after five years unless signatories opted back in — is ostensibly designed to force a review of the agreement after six years. As part of this review, the agreement ends in 16 years unless the three countries agree to extend the term. Both aspects of this provision are highly problematic. It will not lead to an effective review, and the uncertainty over the continuation of the agreement undermines the goal of encouraging trade and investment. Instead of a high-stakes review after six years, the Democrats should push for the institutions created by NAFTA (and carried over into the USMCA) to function properly. NAFTA established a Free Trade Commission to oversee the agreement, and various committees to deal with specific substantive issues. But having these bodies exist on paper is not enough. Additional language in the agreement to require that the bodies actually meet regularly would help ensure that the review process works. Furthermore, as drafted now, the provision looks like a power grab by the executive branch. Trump’s frequent threats about withdrawing from NAFTA and other trade agreements have led scholars to look into whether he has the authority to do so on his own, or whether Congress must have a say in such decisions. Congress has power over trade under the Constitution, but it has delegated much of this control over the years. The sunset provision would have Congress cede more power to the president, by giving him the authority to decline to extend the USMCA. In this way, a president would be able to terminate the agreement without any Congressional role. The simplest approach the Democrats could take to the sunset clause is to demand that it be deleted. The administration will need Democratic votes to pass the USMCA in the House, so it will have to listen to their views. Canada and Mexico — whose legislatures also still have to approve the new pact — did not want the sunset clause, so negotiations do not have to be reopened on other issues to maintain a balance. The administration can simply inform Canada and Mexico that it no longer wants the provision it previously demanded. NAFTA has always been controversial on the left, and progressives have long called for changes to the agreement. USMCA incorporates some of these changes, but Democrats must find a way to make them stick. Unfortunately, if the USMCA is plagued with the same technical problems seen in NAFTA enforcement, and riddled with new ones through the sunset clause, the USMCA will not give the Democrats what they have been asking for. The Democrats have a lot to consider in the coming months as they decide on how they want to approach trade policy. Fixing the flaws in the USMCA should be a top priority. 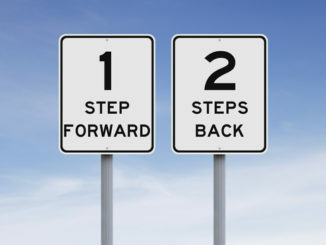 Antonio Garza: One Step Forward, Two Steps Back?